Pheasant Lodge in Longtown, near Carlisle, Cumbria sleeps 4 people. Pheasant Lodge near Carlisle is an ideal honeymoon destination; Pheasant Lodge is a luxury Norwegian chalet nestled away in the Cumbrian countryside, yet only a few miles from the Scottish Border. The world famous Blacksmiths Shop and Scottish wedding venue at Gretna Green is only 3 miles away. From the minute you step in the door your relaxing luxury break will begin, with sumptuous beds with plump pillows, comfy sofas, fluffy towels, and not to mention the hot tub! Bliss from start to finish. With spacious, contemporary open plan living, Pheasant Lodge is beautifully decorated and furnished throughout, with leather and Harris Tweed sofa and chair, glass dining table and oak furniture. The beautiful tweed is continued through into the bedrooms making them very elegant rooms indeed. Pheasant Lodge is situated between the Lake District and Northumberland National Park and is also only a few miles from the Solway Coast in Dumfries and Galloway. It couldn’t be easier to explore both Scotland and England. There is a host of outdoor activities within yards of the property. Netherby Woodland Trail is within 20 yards, and you can enjoy the beautiful woodland walk looking out for deer, red squirrels, wood peckers and much more. Or take a stroll along the banks of the River Esk. For something more energetic explore the Border Reivers Cycle Route, where you can explore the fascinating history of the region on ‘The Reivers Trail’. There is so much to fill your days in this beautiful countryside, then come home and relax in your hot tub while taking in the stunning sunsets! The shop, pub and restaurants are all 1½ miles from Pheasant Lodge near Carlisle. Ground Floor: Pheasant Lodge near Carlisle is all on the ground floor. Living area: With 42 Freeview TV, DVD player, Blu-ray player, Sonos sound system and USB charger point. Kitchen area: With electric oven, electric hob, microwave, fridge, freezer, dishwasher and coffee maker. Oil underfloor central heating, electricity, bed linen, towels and Wi-Fi included. Welcome pack. Enclosed lawned garden with terrace and garden furniture. Hot tub for 4 (private). Private parking for 2 cars. No smoking. Please note: No children. Holidays at Pheasant Lodge run from Friday to Friday. Pheasant Lodge is in Cumbria; should you be on the lookout for a special offer, you can find all the special offers in Cumbria. It's always worth checking to see what is on offer at the moment. 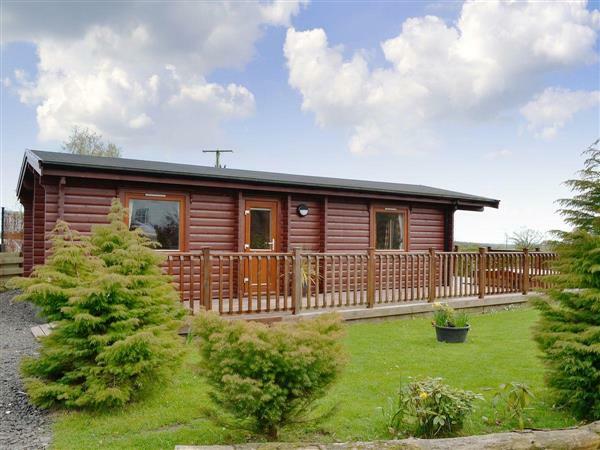 Do you want to holiday near Pheasant Lodge (UK1118), you can see other cottages within 25 miles of Pheasant Lodge; have a look to find your perfect holiday location.